Udagamandalam is a place where scenic beauty is the ultimatum. Tourists flock to that place for attaining peace in their life and also to get soothing eyes. With rich and bountiful nature all around, with Nilgiris glancing from everywhere, and not only that it’s even circled as the Nilgiri Biosphere Reserve. Yes, the name of the place is widely known among people as Ooty. The Indian state of Tamil Nadu is blessed with this hill station which is also a town and municipality. Ooty has gained popularity among the crowd for its impeccable and untouched natural beauty. Ooty’s fame is chiefly for the Nilgiri Mountain Railway, for the steam locomotives are the things which advances it thus adding plenty of fascination among children mainly. The Pykara falls add a heavenly feeling to the minds of the tourists for its magnificent aura. Not only that the 6-kilometre long fall is presented with a boathouse for which the tourists find extreme happiness to look at it. Mukurthi peak is touched by this fall and then meanders its way through the hilly tract. You can be lucky to find a film shooting taking place in the Wenlock Downs, or just spend your day in a family picnic and all these can happen in Kamaraj Sagar Dam which is also commonly known as Sandynalla reservoir. Contemplating about nature, thinking of fishing, watching nature- all these are very similar to this place. Botanical gardens are at times found a bit monotonous for people but think of one which has countless species of plants, shrubs, herbs and anything you name and it doesn’t stop there, during every May there is a flower show inaugurating more ecstasy among the natives and the tourists – the Ooty Botanical Garden is one like that. One will be thrilled to stare at a twenty-two million fossilised tree. Ooty is immensely filled with natural inhabitants just like the Government Rose Garden is acclaimed as the largest rose garden in the whole India. When you are tired of halting from one interesting place to another and when your eyes are tired of catching so many differently beautiful views, you probably need a break and just look at something placid. Well, Shooting Point is that very place which is besieged with a boon of having plentiful nature. Where the Western and Eastern Ghats junctures there is where Dodhapetta peak is found. The highest peak of Ooty with an altitude of 2,623 m is enclosed with dense pine trees which is an exotica. Resorts near Ooty are both popular and apt to settle in for the needed days. Just like to give you an exceptional view of the Nilgiris, Hotel Maneck Residency, Hotel Lake Residency and WelcomHertiage Fernnhills Royale Palace is so perfect. Connor is a very attractive place embellished with tea gardens where Nilgiri tea produces. 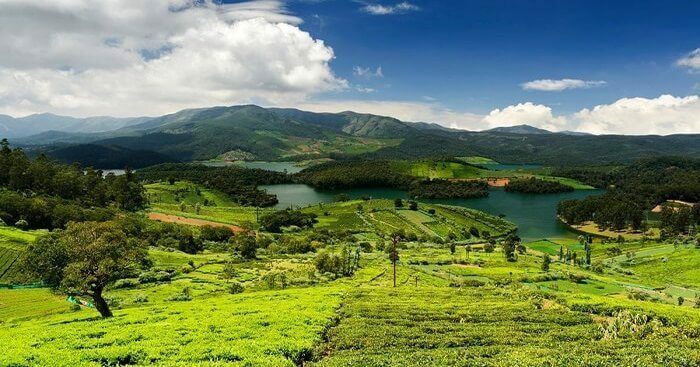 It is the second largest hill station of Ooty after Nilgiri Hills and when trekking it is rightly chosen to halt it. Resorts near Ooty like The Grange Hotel, Shiva’s Pleasure inn, Hotel Preethi Classic Towers are some nice hotels in Connor which will befit almost everyone. Ooty’s Avalanche Lake, Mudumalai National Park, St.Stephen’s Church, Thunder World Murugan Temple are few other really delightful places to explore wholeheartedly. Exploring Ooty will be a quite intriguing trip and this is the very reason people strive to go there. Among all the places Ooty is a very convincingly marvellous place to explore.